Last year, I started with my routine running in the month of April and SCMM, 2017 training plan in mid-September. It did work well for me to some extent, but then it was also one of the main reason why I fell short of running 1200 kms in 2016. I clocked 10 runs in 5 months covering only 78 kms (2 runs in Feb, 1 run in March, 4 runs in May, 1 run in June and 2 runs in August) and then I covered up 800 kms in the remaining 7 months (too much to catch up with). I was nor sincere – nor regular with my running. In contrast, I chose to train through out the year in 2017. 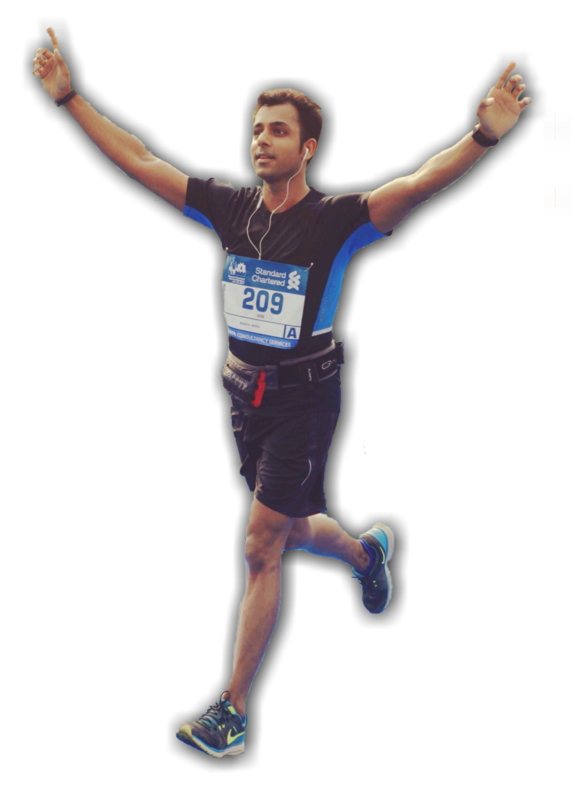 My annual running cycle began this year in February and would end with SCMM in January, 2018. I began with a “thrice a week plan” (phase 1) starting with 24 kms in the first week, with an increment of 1 km each week for the next 16 weeks. It covers mostly Short, Interval and Recovery runs. For Interval runs, every km I run, I split it into equal half, starting with a Recovery run at a very slow pace followed by a speedy run, wherein, I try to push myself as hard as I can. Interval runs are so much fun and are one of the best ways to reinvigorate yourself.